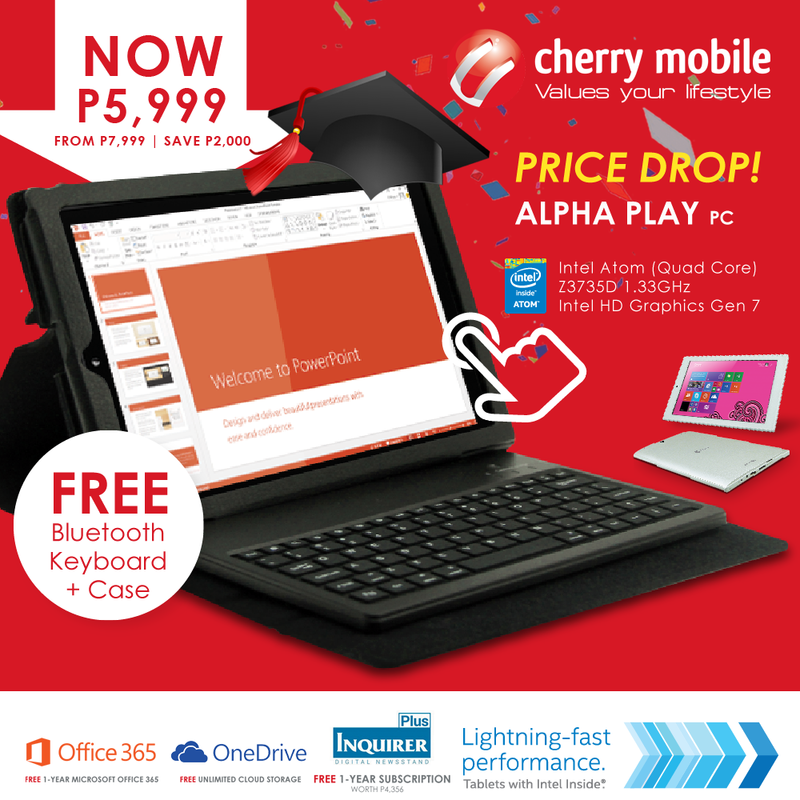 After the debut of their two new Windows-powered smartphones at the MWC in Spain, Cherry Mobile recently announced a ₱2,000 price reduction on their Alpha Play - a Windows 8.1 tablet that can turn to personal computer powered by Intel. From its original SRP of ₱7,999, you can now own the Cherry Mobile Alpha Play for ₱5,999 only. The Cherry Mobile Alpha Play also comes with Free 1-year Microsoft 365, Unlimited OneDrive cloud storage and 1-year subscription of Inquirer Plus digital newspaper(worth ₱4,356).